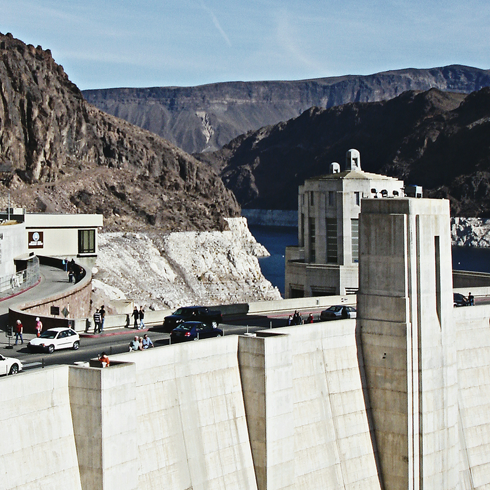 Constructed between 1931 to 1936, the Hoover Dam (once the Boulder Dam) was an engineering feat and a massive undertaking when it was built during the Great Depression. 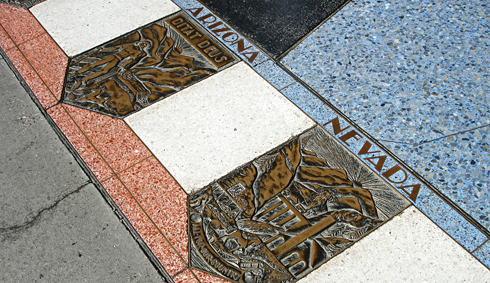 Over 5,000 people worked on the project, and the town of Boulder, Nevada had to be established to house them all. 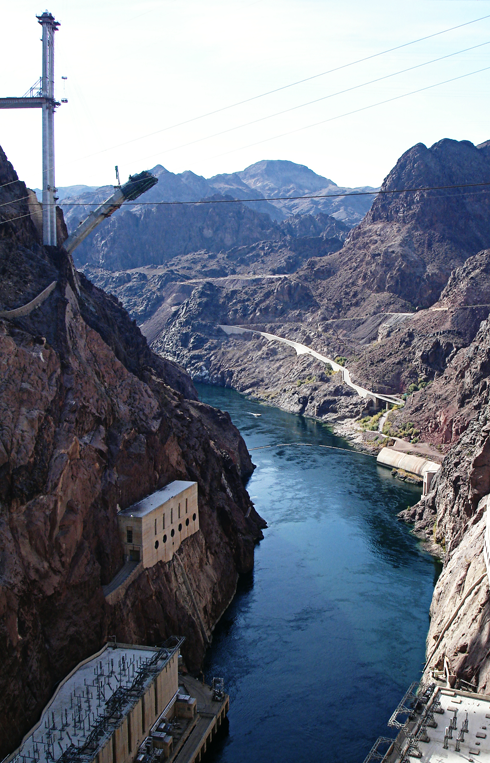 Spanning the border between Nevada and Arizona, the Hoover Dam is still a hugely popular landmark and stop along the Colorado River. 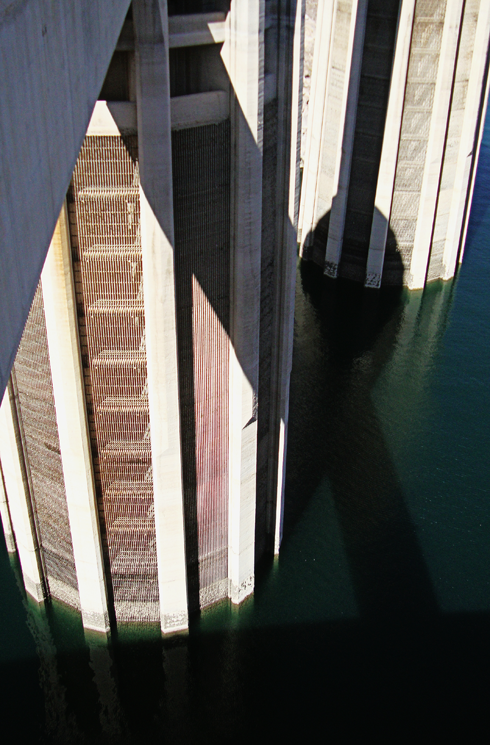 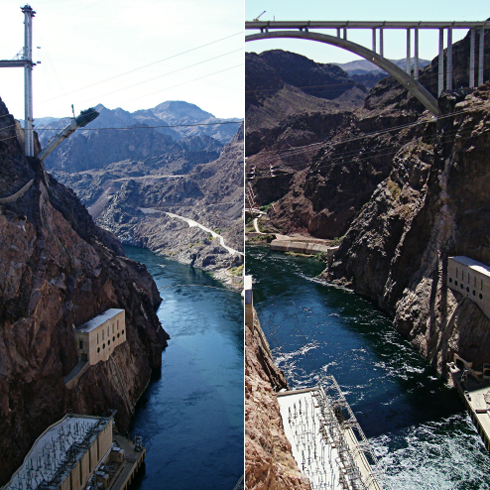 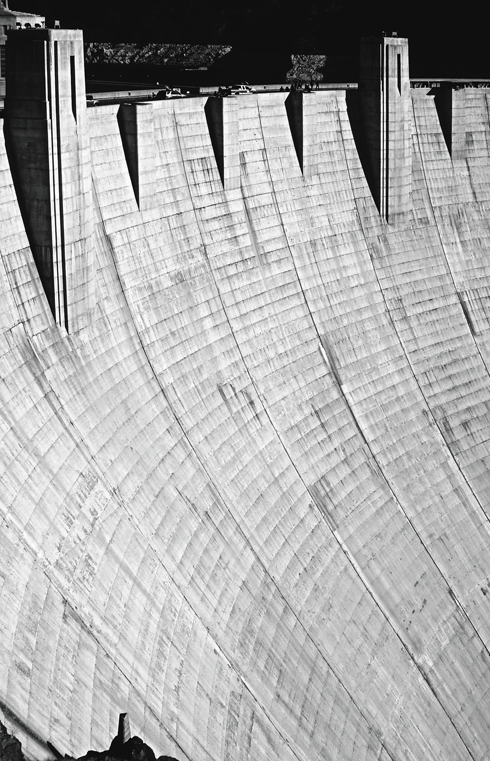 These images are a combination of two visits I made to the Hoover Dam in 2008 and 2010. 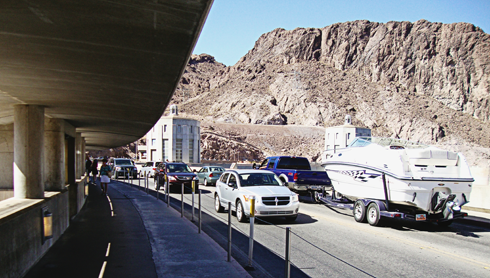 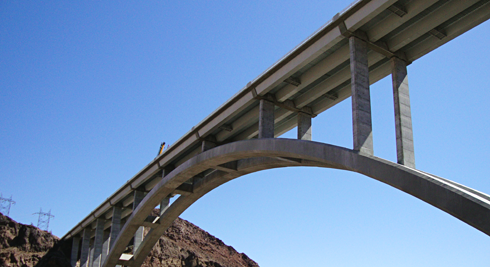 During that time I saw the construction and completion of the Hoover Dam Bypass project (Mike O'Callaghan - Pat Tillman Memorial Bridge), which rerouted the interstate from crossing the dam to a brand new bridge spanning the canyon. 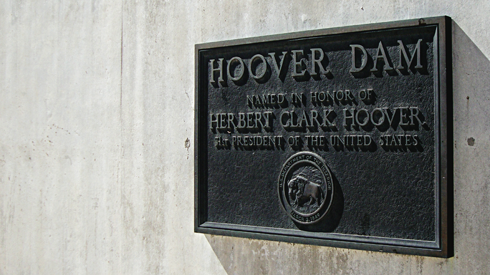 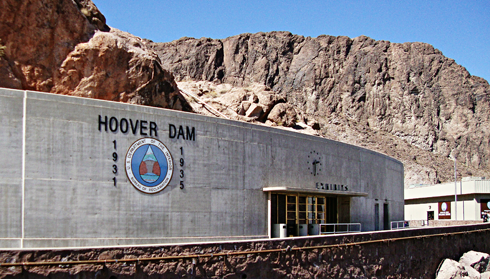 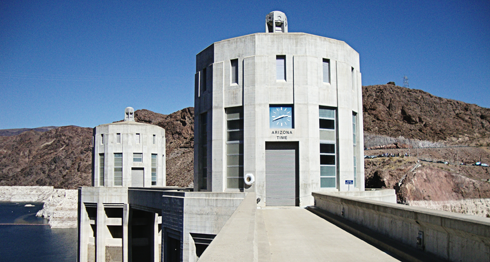 Located just a short drive from Las Vegas, the Hoover Dam also resulted in the creation of Lake Mead, the largest reservoir in the United States. 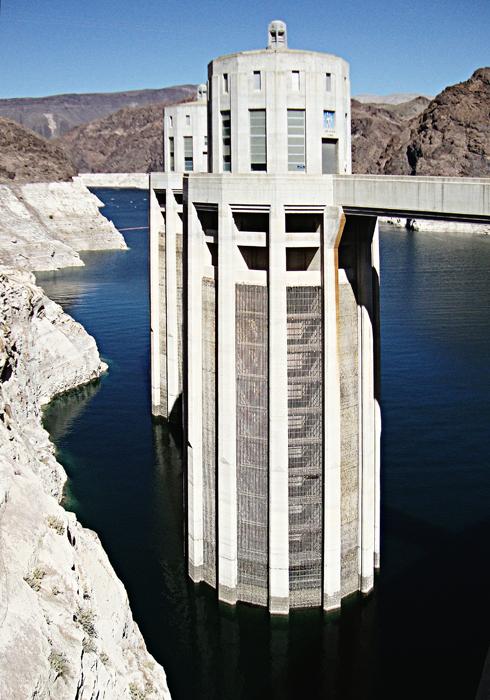 Water demands and drought have taken a toll, and as of 2016 the lake has reached its lowest level since being filled in the 1930's. 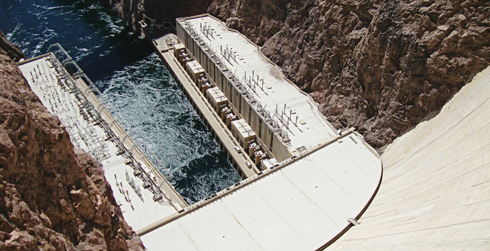 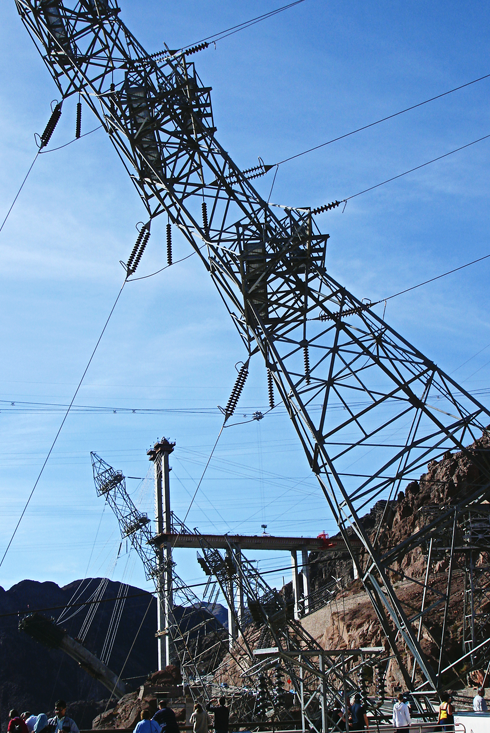 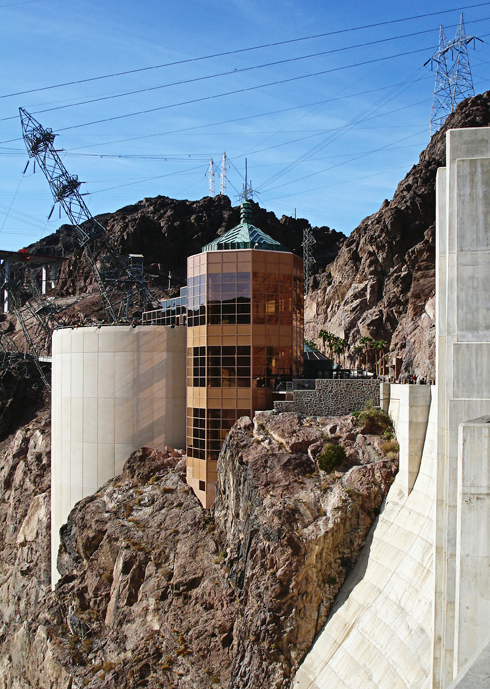 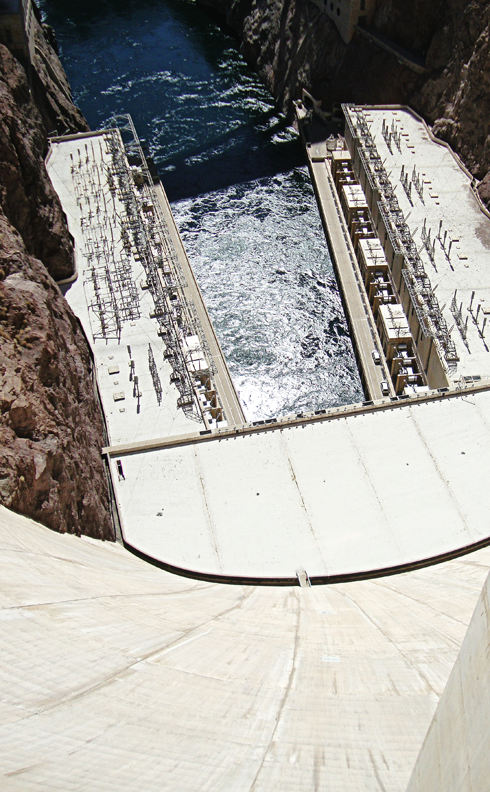 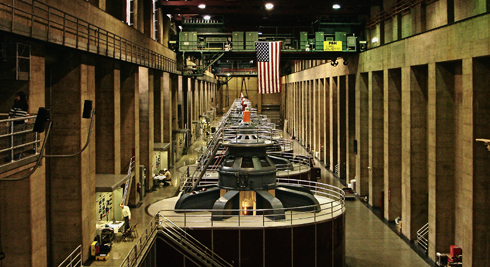 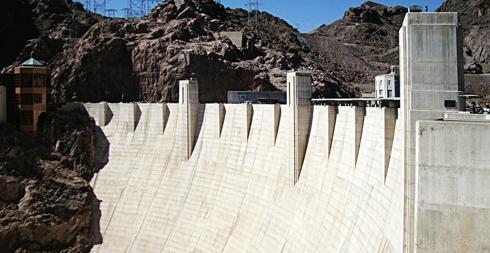 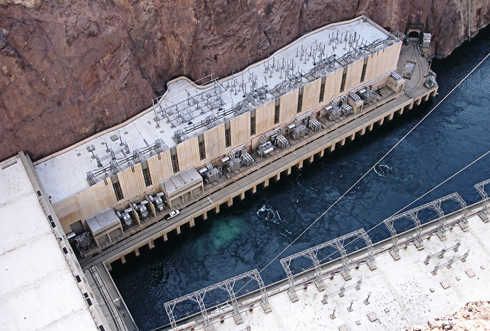 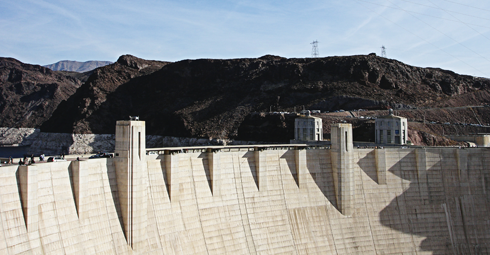 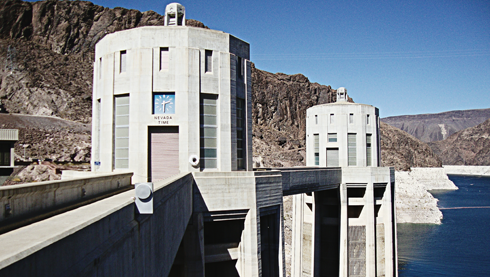 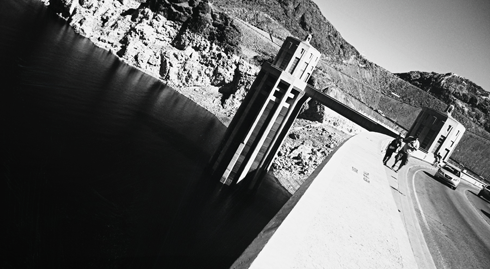 There are very real concerns, as in addition to water supply, the Hoover Dam is still a massive generator of hydroelectricity providing power to nearly 8 million people in Arizona, southern California, and southern Nevada. 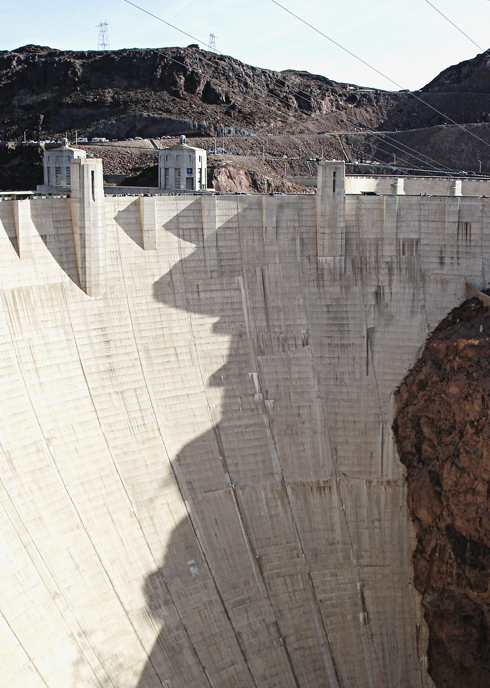 The "bathtub ring" around Lake Mead shows the devastating drop. 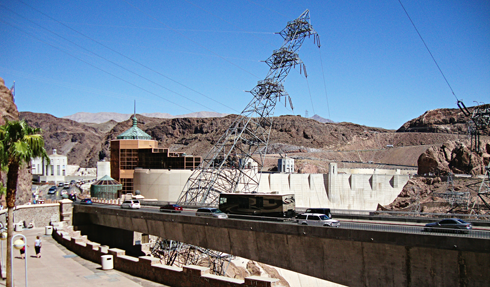 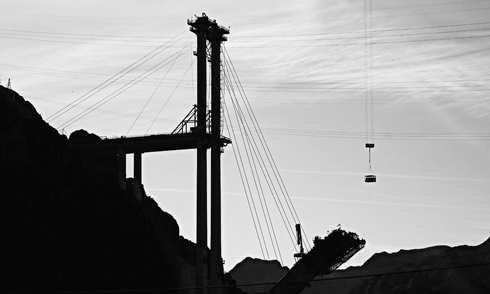 Construction of the Hoover Dam Bypass project in 2008. 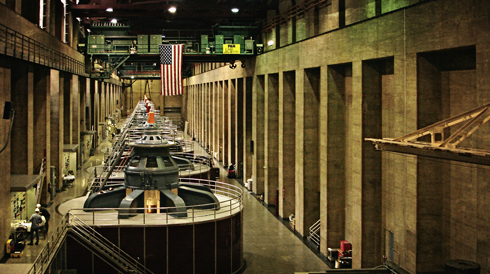 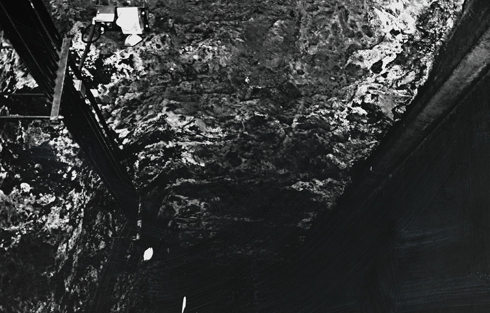 Inside the tunnels of the Hoover Dam. 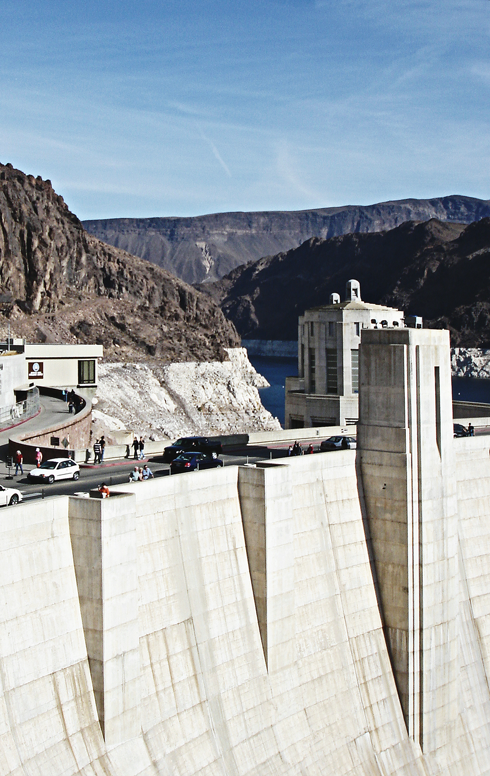 Completed Hoover Dam Bypass in 2010.